Does using “40-percent less energy for cooling” sound interesting? If so, you may want to consider energy-efficient roofing—a roofing industry technology that helps reduce energy consumption. How Does Energy-Efficient Roofing Work? There are a few different types of energy-efficient roofs, and they each work in different ways. 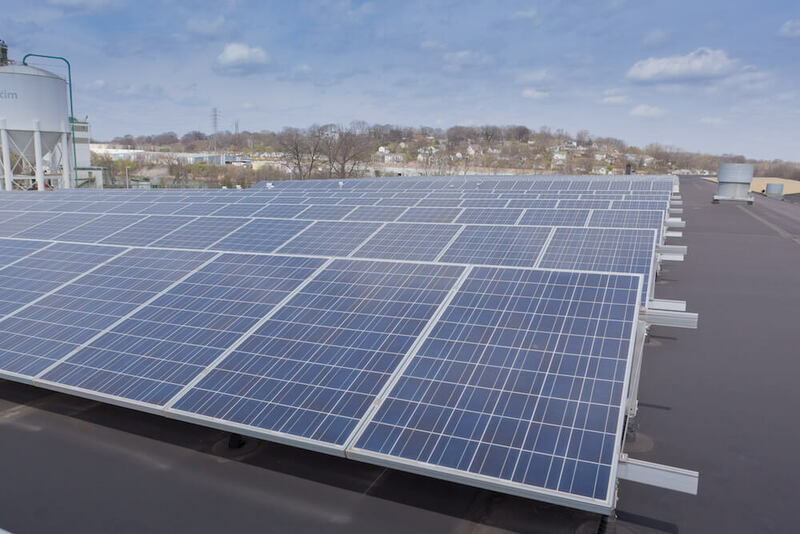 For example, some commercial energy-efficient roofs are made with materials that reflect sunlight back into the atmosphere and protect the roof from UV rays. Other commercial energy-efficient roofs are “green roofs,” covered with vegetation that absorbs sunlight and keeps it from reaching the roof itself. What Are the Benefits of Energy-Efficient Roofing? Saving money on cooling costs isn’t the only benefit you can get from energy-efficient roofing. Energy-efficient roofs are also more likely to last longer. Why? Rather than absorbing damaging sunlight and UV rays, energy-efficient roofs reflect them, reducing indoor cooling costs and preventing damage to the roof. Energy-efficient roofs generally provide more savings in hotter climates. According to Energy.gov, “Cool roofs achieve the greatest cooling savings in hot climates, but they can increase energy costs in colder climates due to reduced beneficial wintertime heat gains.” If you want to know whether your facility is a good candidate for a cool roof, try this cool roof calculator or this roof savings calculator. Should You Install an Energy-Efficient Roof? Installing a brand-new roof sounds stressful—event painful, right? If you’re interested in achieving the benefits of an energy-efficient roof without going through the headache of tearing out your current roof and installing a new one, we have good news: Getting an energy-efficient roof might be less complicated than you think. You don’t have to install a completely new roof for it to be considered energy-efficient. According to PowerScout, “A cool roof coating, comprised of pigments that reflect sunlight, can transform a standard roof into an energy-efficient roofing system.” If you’re looking for energy-efficient roofing materials, PowerScout recommends you “look for materials with a high solar reflectance and thermal emittance. Solar reflectance determines the amount of solar energy that a material reflects into the environment, while thermal emittance describes how readily a material releases absorbed solar heat.” Choosing a material that reflects as much sunlight as possible and releases as much heat as possible will allow you to maximize the benefits of energy-efficient roofing. If you’re interested in installing a brand-new, energy-efficient roof or transforming your current roof to an energy-efficient one, we’d love to hear from you. Click here to learn how we can help you gain the benefits of energy-efficient roofing.